Articles › Why do some apps request too many permissions? In most cases, permissions requested by an app do make sense: it might need Internet to access your data in the cloud, Vibrate to get your attention, even location access when it has to deal with it. But sometimes things look really weird – and either you cannot explain to yourself why an apps requires that permission, or you cannot even see what „that permission“ is supposed to mean at all. The latter even worse when you cannot find it in IzzyOnDroid’s permissions list. What’s going on there? What could be the reasons for this? 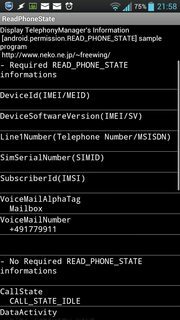 As for the app lists IzzyOnDroid collects the apps’s Metadata (such as permissions requested), I was able to get a closer look at some context. Especially in those cases where permissions could not be matched against those recorded in afore-mentioned „permissions list“ – and I wanted to know what those are. Researching for and creating the list of „permissions explained“ added to the background. So this article tries to shed some light on possible causes. The number one of usual suspects when it comes to „permissions not needed for functionality“ are definitely modules for advertisements. As many users are not willing to pay even the little sum of „one buck“ for an app, we can’t blame developers they revert to this to get at least a little reward for their hard work – and in most cases we can get rid of those unwanted modules with bying the „pro“ version of the app in question. But we don’t want to discuss this part of the equation now. Though that’s not all due to ad modules, most of them do want to access your location (ACCESS_COARSE_LOCATION). For some modules it even is required to include access to contacts (READ_CONTACTS), call logs (READ_CALL_LOG), your browser bookmarks and history (READ_HISTORY_BOOKMARKS), and more. Being part of the app, they additionally inherit all permissions the app declares for itself. It is not rare that even the app developers are unsuspecting of what those ad networks do (especially what they do with the data gathered), so pointing that out to them might result in them replacing the ad module used by one requesting less permissions. Why reinvent the wheel? For many functionalities, there’s already some library having them implemented. But you’ve already guessed it: usually a library offers more than the one or few functions you need, and thus might require permissions the app itself does not need. We could call that „collateral damage“, and it’s not always avoidable. Luckily, in most cases this doesn’t draw in to many dependencies (more often even none at all). While libraries are one thing, implentations are another issue. Especially developers new to Android check for what’s „best practice” – and get answers of what’s „most used” or „recommended by Google”. A classical example: How to make sure your app doesn’t conflict with incoming phone calls (e.g. to pause your game, audio playback, or whatever activity in such cases)? 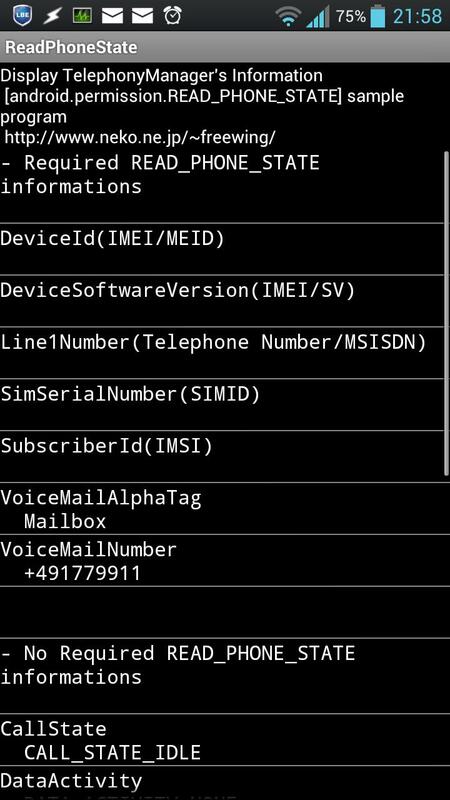 Google recommends registering a listener to onCallStateChanged, which requires the READ_PHONE_STATE permission2 – one that looks suspicious as it also gives access to unique identifiers such as IMEI, IMSI, your phone number, and phone numbers you are „connected to”3. But that’s not the only way – though the best known and most used. As Arno Wetzel points out, there’s a more decent and privacy-friendly way to achieve the same, which doesn’t require a single permission: it uses the fact that, on incoming calls, the ringer is triggered – which „switches the audio focus”4. So the app simply registers to that event instead. This is just one example – I’m sure there are more. 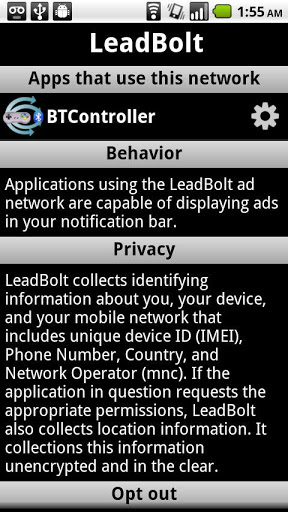 The screenshot shows what details are accessible via the READ_PHONE_STATE permission – or rather, it does not, as I withdraw that permission from the app displayed. So watch out for the „blank spaces“.5 As you can see clearly, CallState can be accessed even without that permission, which is what Arno’s approach makes use of. I can tell you a thing or two from my own experience when setting up the permissions list: the official reference doesn’t even list them all, not to speak of explanations. Running a „Google Search” on a permission often just brings a ton of Manifest files from apps declaring them used. Getting an idea of what they are used for? Dead loss, nil return. So how to figure which permissions your app needs? I wonder how developers find out. In many cases I assume „good guessing” being one of the methods. One time I’ve even seen a comment in the source code: „Not sure what we really need here, so we request them all“. Any questions left on this? Side-effects are wrong implications and laziness, see below. Not clearly belonging here, but somehow related are permissions which do no longer exist – like ACCESS_LOCATION and ACCESS_GPS (both being pre-1.0 permissions long obsoleted6, and should be reported to the resp. developers for removal. This is no question of „backward compatibility“ anymore, as it’s pretty unlikely anyone uses such an ancient Android version today (especially as pre-1.0 never „hit the wild“). You won’t find those „ancient candidates“ listed here at IzzyOnDroid, neither in the list of permissions nor with the apps themselves: no longer being recognized by Android, they won’t have any effect on you anyhow. We study Android applications to determine whether Android developers follow least privilege with their permission requests. We built Stowaway, a tool that detects overprivilege in compiled Android applications. Stowaway determines the set of API calls that an application uses and then maps those API calls to permissions. We used automated testing tools on the Android API in order to build the permission map that is necessary for detecting overprivilege. We apply Stowaway to a set of 940 applications and find that about one-third are overprivileged. We investigate the causes of overprivilege and find evidence that developers are trying to follow least privilege but sometimes fail due to insufficient API documentation. Android provides developer documentation, but its permission information is limited. The lack of reliable permission information may cause developer error. The documentation lists permission requirements for only 78 methods, whereas our testing reveals permission requirements for 1, 259 methods (a sixteen-fold improvement over the documentation). Additionally, we identify 6 errors in the Android permission documentation. This imprecision leaves developers to supplement reference material with guesses and message boards. 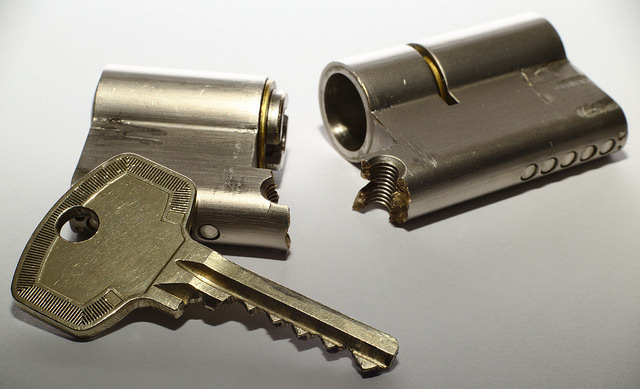 Developer confusion can lead to overprivileged applications, as the developer adds unnecessary permissions in an attempt to make the application work correctly. Of the 78 permission-protected API calls in the documentation, our testing indicates that the documentation for 6 API calls is incorrect. It is unknown to us whether the documentation or implementation is wrong; if the documentation is correct, then these discrepancies may be security errors. Three of the documentation errors list a different permission than was found through testing. In one place, the documentation claims an API call is protected by the Dangerous permission MANAGE_ACCOUNTS, when it actually can be accessed with the lower-privilege Normal permission GET_ACCOUNTS. Another error claims an API call requires the ACCESS_COARSE_UPDATES permission, which does not exist8. As a result, 5 of the 900 applications that we study in §6.2 request this non-existent permission. 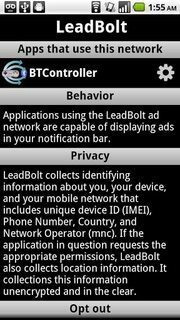 A third error states that a method is protected with the BLUETOOTH permission, when the method is in fact protected with BLUETOOTH_ADMIN. We found that some permissions are defined by the platform but never used within the API. For example, the BRICK permission is never used, despite being oft-cited as an example of a particularly dire permission . The only use of the BRICK permission is in dead code that is incapable of causing harm to the device. Our testing found that 15 of the 134 Android-defined permissions are unused. The document also confirms my assumption of „good guessing“ being part of how developers sometimes have to figure the permissions required: deducing „from the sound of it“ – e.g. requesting MOUNT_UNMOUNT_FILESYSTEMS to receive the MEDIA_MOUNTED intent. And there we have an example of an unnecessary permission, as that’s not needed. On AppBrain, you find such permissions on the „Permissions & Concerns” tab as „Extra“ (see screenshot). Note that this section holds all „rather rare or unknown” permissions – not only those which don’t exist. Still, it doesn’t hurt to ask the dev about them, especially when he didn’t explain their use in the app description. I already mentioned this under insufficient documentation („Not sure what we really need here, so we request them all“), but this point can combine all of the above: copy-pasted code (not necessarily from different locations), summing up all the errors made. Attempting to „fix things“, this one might simply add more permission-requirements. More requirements doesn’t necessarily implicate more features, so in many cases the kind of apps resulting from this are, hrm, not „simply the best“. If an entire app is constructed that way, one might surmise the only reason was to make some money via advertisement. For sure, quality was not one of the goals to be reached. Plus, these kind of apps are not what we need: they rather „clutter the lists”. Which is why they are usually „fall between the cracks“ and are not included in the app lists here at IzzyOnDroid.